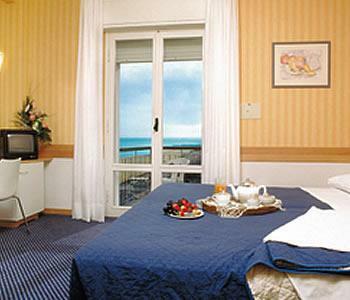 Hotel Fedora Riccione Riccione, Hotel Italy. Limited Time Offer! 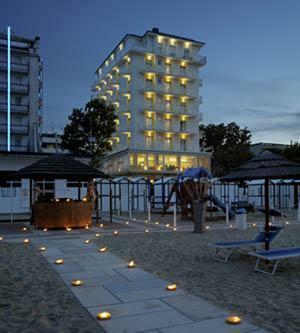 Hotel Fedora Riccione. 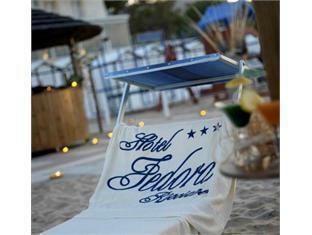 "Hotel Fedora Riccione" is a hotel that has acquired 3 stars. 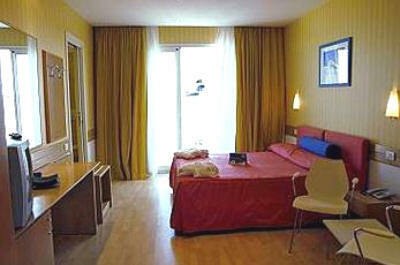 The accommodation can be found in Riccione. The residence has 54 contemporary rooms. Guests will appreciate the comfort of the soundproof bedrooms. Thanks to the relieving air conditioning, the interior temperature is never too high. You can take a swim as this residence features a small outdoor pool. The pool is also suitable for children. By participating in mini-golf you have the option to make your stay a more active one. There is also a more sporting activity offered, namely golf. 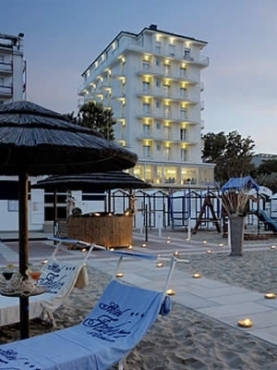 Furthermore, "Hotel Fedora Riccione" features a water park and gym as well as a bike rental service. 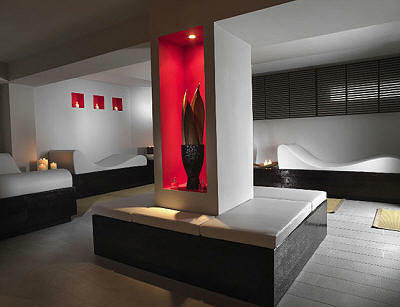 For guests' well-being, there is a spa, a pleasure after all your daily physical activities. Refresh yourself in the jacuzzi or hamam or give your health a boost with a visit to the sauna. The spa also offers relaxing massages. Guests can dine at the onsite restaurant. 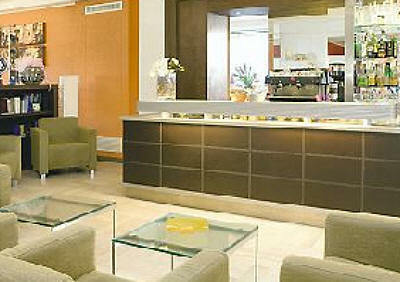 You can end your busy day with a drink at the hotel's lounge bar. After a good night's sleep, breakfast is available. For those who like to keep an eye on business, there is Internet access available at no extra charge. 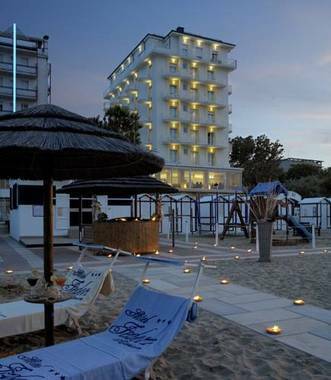 Located directly by the sea, Hotel Fedora Riccione boasts its own private beach, a wellness centre and a range of entertainment activities. 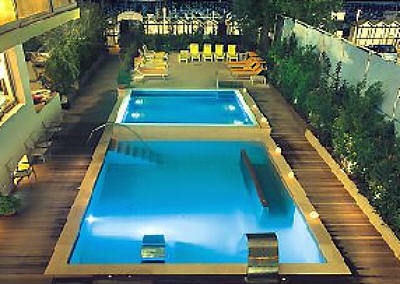 The hotel features 3 heated swimming pools, 1 for children and 2 with jacuzzi. 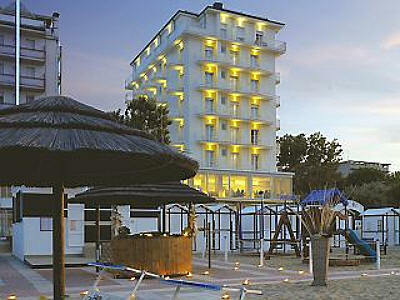 Hotel Golf is set near Riccione's seaside promenade, 100 meters from the beach in the Fogliano Marina area. 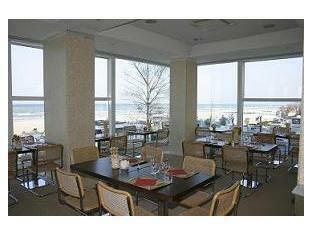 It offers air-conditioned rooms with private balcony and an outdoor pool.